Petswelcome is pleased to announce that we have added more than 1,100 Wyndham pet friendly vacation rentals to our site. The rentals cover 11 geographic locations, including Whistler, BC, Summit, CO, and the Florida Gulf Coast (to name a few) and include both condos and homes in a wide variety of prices. 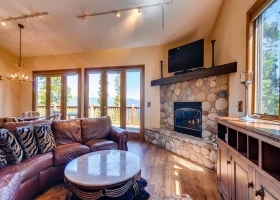 As we have mentioned in past articles, vacation rentals are a great option for people traveling with pets because they offer plenty of space and privacy and allow you to live like a local while also spending more quality time with your family in a beautiful, fun, and stress-free environment. We have invited the people at Wyndham to write a description of the locales and properties so that you will get a better insight into their fantastic offerings. Once you do, we’re sure Wyndham Vacation Rentals will be high on your list the next time you’re planning a trip with your pet. 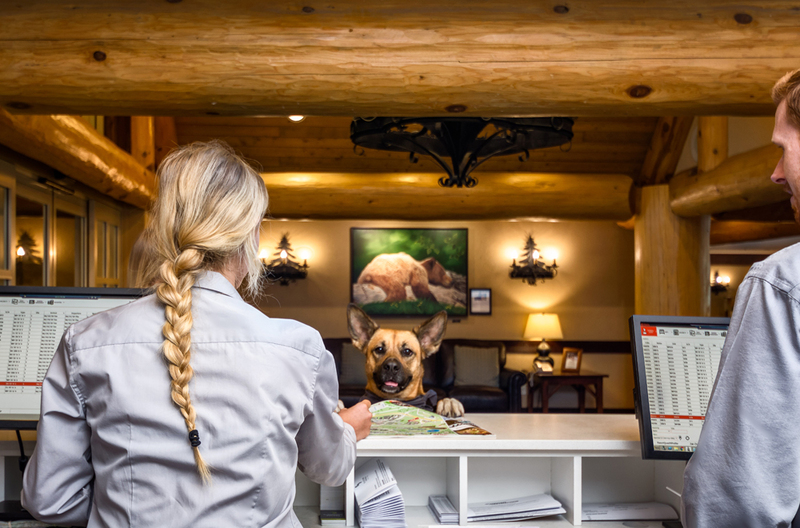 At Wyndham Vacation Rentals, we understand that dogs are part of the family too, and no one should have to leave a pup behind when going on vacation. Bringing your furry friend along enhances vacation fun. Bring the whole crew with you as you hike up forest trails or take a dip in the ocean. Plus, cuddling with a pet calms a child who may feel uneasy with new surroundings. Forgo kennel fees and make sure your vacation isn’t spent wondering if your dog is being cared for properly. With Wyndham Vacation rentals, we encourage guests to bring along the whole crowd, pets too. With the right pet-friendly vacation rental property, you won’t have to sacrifice your much-needed vacation to stay at home with your pets. More Indoor Space. Hotel rooms are compromised on space. When you factor in people, luggage, and furniture, there is little open room left for play. With vacation rentals, you have the privilege of multiple rooms. Don’t confine your family and pets to one room, no one likes a crowded space. Kitchens for meals. Dogs can have picky eating habits. Feel at ease in your own kitchen, store your pet’s food properly, and don’t worry about getting food all over the easily stainable rug. Easy backyard access. When you can tell that your needs to burn off some energy, take them outside and throw a ball. Dog-friendly vacation rentals with backyards are the best. Don’t worry about waiting for an elevator. On your next vacation with a Hilton Head Island Vacation rental, create memories with the ones you love, including your pets. Along with beach activities, there’s plenty to do in the gorgeous Hilton Head South Carolina. For an island that’s just 12 miles long and five miles wide, Hilton Head not only has fabulous running terrain, but lots of variety for you and your four-legged-friends. About 60 miles of public pathways and nature trails lace the island, making Hilton Head the ideal vacation spot for pet-friendly activities. Whether it’s a session of catch on the beach, or a jog along The Sea Pines Forest Preserve, you and your pet will be more than satisfied with all that Hilton Head has to offer. When you need to cool off from hours of activity, take a dip in your private outdoor pool and bring your furry friend in too. 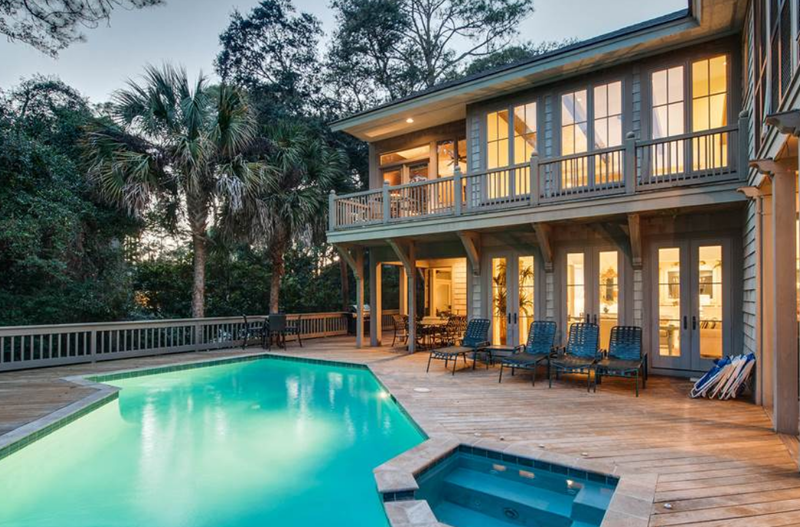 Some Hilton Head Island Vacation Rentals offer backyard pools, fit for you and your pets. Charleston is home to five unique beach towns—each one serving up captivating backdrops for your next island escape.This slice of paradise is well-known for being a dream destination for foodies and history buffs alike, but the trendy spot also has a lot to offer for the adventurer at heart. Discover why Charleston was voted the Best City in the World, and make sure you don’t leave your pet behind! Bring them along as you soak in the unique blend of sand and city. Charleston and Folly Beach have been nominated as some of the best beaches in the South. Take advantage of the smooth sand, open land, and ocean breeze, by throwing a ball around with your energetic pup.Picture your next family vacation relaxing on miles of pristine beaches, watching your happy four-legged-friend splash in and out of the waves, and come face to face with America’s most charming historic district. The Great Smoky Mountains is one of the most visited National Parks in the country because it’s a great place for the whole family, pets included, to visit. With crisp air, stunning views and tranquility, the mountains are a source of happiness for people and pets alike. With more than 800 miles of wilderness, Great Smoky Mountains National Park offers a wealth of hiking trails opportunities for all skill levels and tastes. These trails are perfect for families with pets who like a little adventure too. Nestled in the foothills of the Great Smoky Mountain National Park, Gatlinburg is ideal for a nature-filled pet-friendly getaway or bring a big group of friends to enjoy a giant cabin in the woods. There are a lot of things to do in Gatlinburg: world-class hiking, a vibrant downtown area, and excellent accommodations are juxtaposed for a memorable adventure. The Gulf Coast of Alabama has sun and sand to offer no matter the season. With mild temperatures and plenty of sunshine, Alabama’s Gulf Coast is a hidden gem of a beach spot in the south. Right at the edge of the Florida panhandle, Gulf Shores and Orange Beach have the best of both worlds: a quiet place for the whole family with lots of things to do. We encourage that you bring your pet along with you to discover the secret of the Gulf Coast that many travelers don’t know: the area’s 32 miles of pristine, white-sand beaches are a true vacation gem. When you have had enough beach make sure to check out the Gulf State Park, a place you and your pets are destined to love. The natural area boasts plenty of trails to explore and various points of interest like osprey nests and overhanging moss trees. Colorado has frequently been ranked high on lists of the most dog-friendly states. From fun on the slopes to lively alpine villages, there’s plenty to do in these mountain towns, especially with your pets. Breckenridge, located in the heart of Summit County, is well-known to locals and visitors as Colorado’s Playground. Just because you can’t put your dog on skies, doesn’t mean you can’t enjoy some outdoor fun together. Hike up to incredible mountain views, test your limits with a 14’er, splash some river water on you and your pup, or explore the forest with your four-legged friends in tow. Keep in mind– summer’s not just beach season. In Colorado’s Rocky Mountains, it’s prime time for adventure. The Outer Banks, the beautiful barrier islands off the coast of North Carolina, are famous for their miles of unspoiled beaches. Imagine this: you’re lounging in a beach chair perched along the shore with the sun shining down on your face, your energetic pup running up and down the shoreline, and the sounds of the ocean waves kissing the sand. Sounds amazing, right? Outer Banks vacations always have families and their pets in mind. 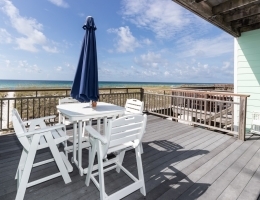 It’s for good reason too, since the destination is a hot spot for finding some of the biggest beach home rentals in the Outer Banks. From oceanfront to soundfront and everything in between, when you rent OBX beach homes you can bring the whole crew. Don’t leave your pets behind when booking your next vacation in the Outer Banks. With many vacation rentals either having a private pool, spacious yards, and multiple decks, these glorious amenities are a sure-fire way to make sure that your pet is having just as much fun as you are. 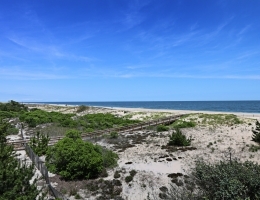 Delaware’s Beaches are a popular spot in the Northeast for getting away and recharging with the whole family, pets included. Known for its long stretches of sand and boardwalk, the vacation mecca south of Wilmington and east of Washington, D.C., is the ideal spot to bring your furry friends. Kicking back and relaxing yourself is only possible when there are activities and amenities on-site to entertain the rest of your crew. When you book a Delaware vacation home you’ll strike the perfect balance between downtime and “go” time, and you will be provided with all the space you need for you loved ones and four-legged-friends. With many vacation rentals either having a private pool, boardwalk access, and multiple decks, these glorious amenities are a sure-fire way to make sure that your pet is having just as much fun as you are. There is no question that sinking your tired toes into the famous beaches along the Northwest Florida Gulf Coast is what most visitors head there to do. Though, that’s not the only reason to venture to nature’s paradise. Northwest Florida is the perfect place for a pet friendly family vacation. A nearly endless list of both water and land activities offer up some great fun an energetic family can enjoy along with their pets in tow, too. Enjoy a fun filled vacation in Palm Springs without having to leave your furry friends at home. There are several attractions in the area that offer something for everyone. What’s better than exploring the magnificent outdoors with your favorite four-legged friend? Palm Springs and its surrounding communities boast some of the most scenic, easy to access and enjoyable trails you’re likely to find anywhere. Hike up a mountain for incredible valley views or explore a lush canyon oasis with hidden waterfalls. Grab your pup and explore a true desert oasis. Upon arrival, you’ll find over 25 miles of hiking trails in and around this remarkable area. 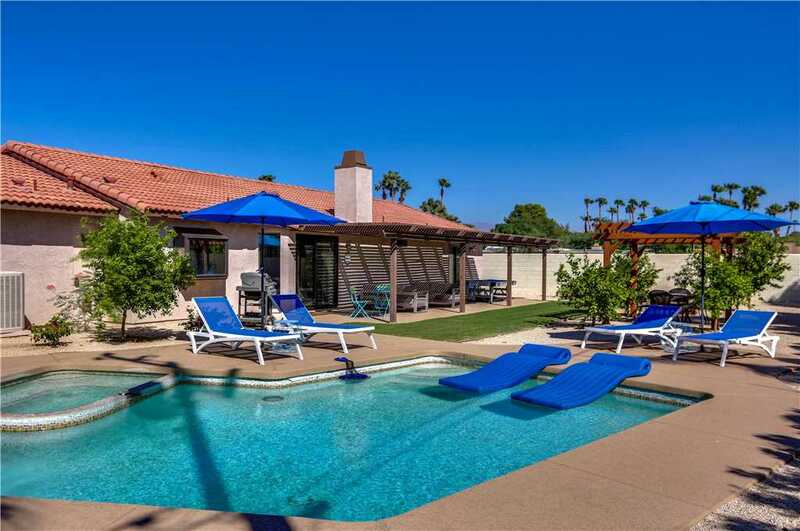 With many Palm Springs vacation rentals either having a private pool, spacious yard, and multiple decks, these glorious amenities are a sure-fire way to make sure that your pet is having just as much fun as you are. Head to North Myrtle Beach for a beautiful place of sun, sand, relaxation and fun, and bring your pets along too! Myrtle Beach, South Carolina is a hot vacation spot for families with pets. There is plenty to do for everyone. The beach is a surefire hit. Pack a cooler, grab the beach toys, and spend your day playing catch, swimming in the waves, and soaking up the sun. Or, grab your pup and take an evening stroll along the coast. Feel the sand between your toes and the cool ocean water on your feet as you watch your happy four-legged friend run along the shore. 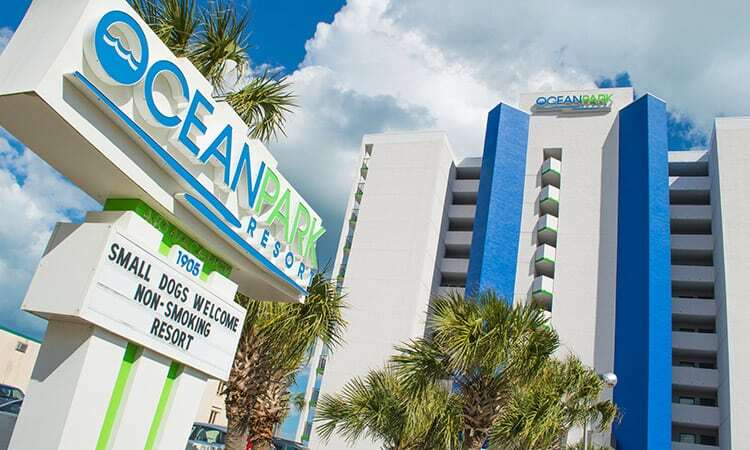 With many Myrtle Beach vacation rentals either having a private pool, easy beach access, and multiple decks, these glorious amenities are a sure-fire way to make sure that your pet is having just as much fun as you are. Whistler, British Columbia is the ultimate vacation destination for families and their pets year-round. From an array of outdoor activity, no one will be disappointed in a trip to Whistler – your four-legged friends will be wagging their tail non-stop. Beautiful British Columbia lives up to its praise with grandiose mountain ranges, dense forests, and diverse wildlife. While it’s known as a top ski destination, Whistler is also a popular hiking retreat and mountain biking hotspot for outdoor adventurers. Travelers and their pets can find plenty of sunshine, warmer temperatures, and a stunning scene of flora blooming to life. Hiking, one of Whistler’s best summer activities, can get you up close to nature’s best scenes while fueling endorphins and tiring out your most treasured adventure partner your energetic pup. Don’t worry about traveling far with your furry friend. Simply pack a picnic basket, a towel and a few of your pet’s favorite toys and relax in the sun at any one of the local lakes.